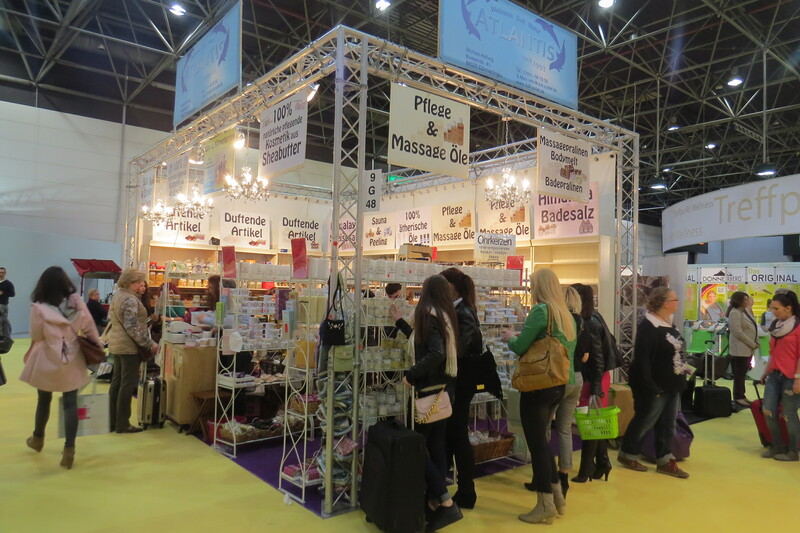 From 27th to 29th March 2015 I was in Düsseldorf, visiting Beauty International, Germany’s biggest trade show for the salon, spa and wellness industry. 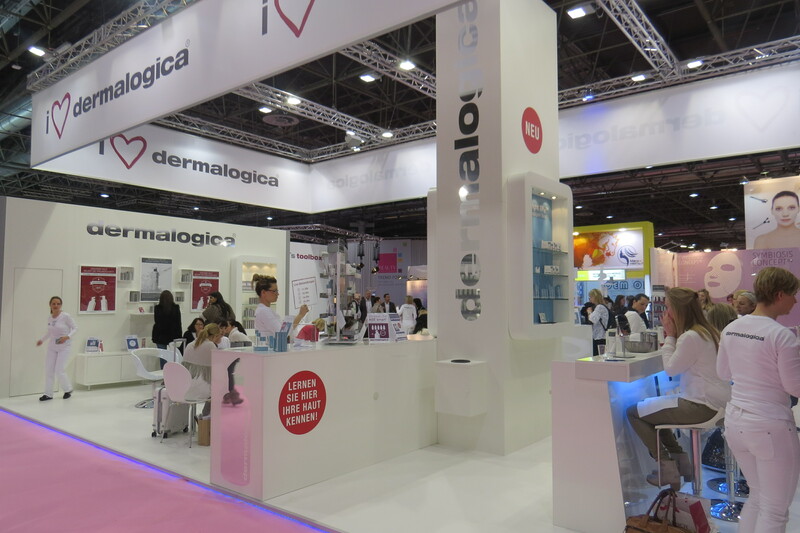 The professional beauty sector is strong over here and the big German salon brands – like Babor, Alessandro International, LCN, Klapp, Jean D’Arcel, Kryolan or Dr. Grandel – are very successful internationally. 2015 also marked the 30th anniversary for Beauty International. According to organizers Messe Düsseldorf, 51000 visitors from 60 countries attended the trade show and there were 1400 exhibitors in total. 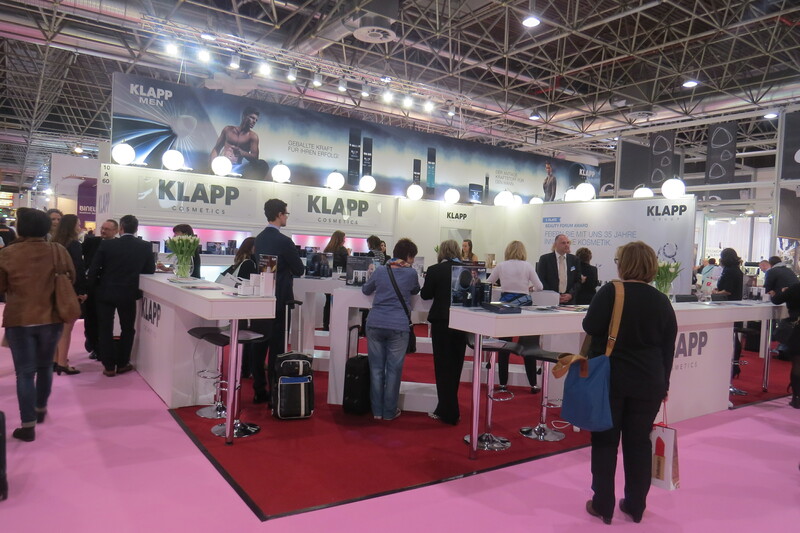 And since Beauty International traditionally takes place in conjunction with Top Hair International, the most important German show for the hair salon industry, and the Make Up Artist Design Show, Düsseldorf’s trade show centre was practically bursting at the seams with visitors. 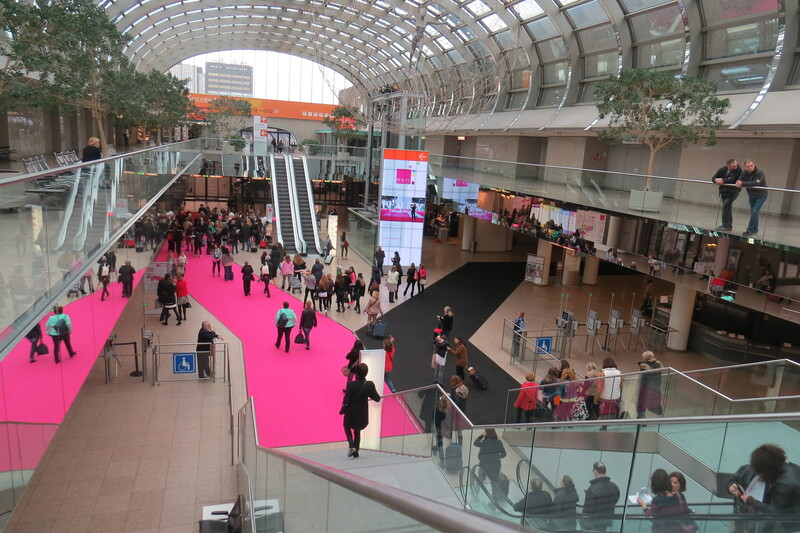 Like last year, Beauty International took place in four of Messe Düsseldorf’s 14 exhibition halls. 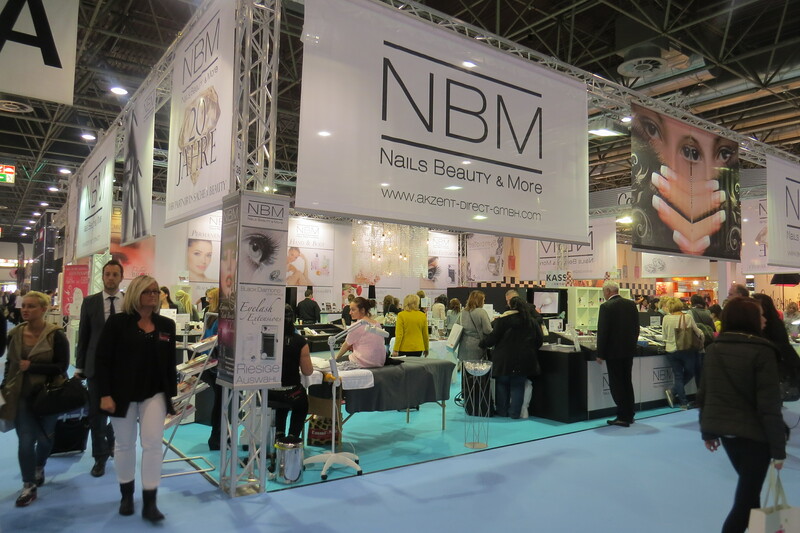 The first hall featured foot care, spa and wellness, the second hall focused on the classic salon manufacturers (products, furnishings and treatment tools/technology), the third hall was direct sales (salon cosmetics, furnishings, accessories, makeup and so on – probably one of the busiest areas of the whole trade show! 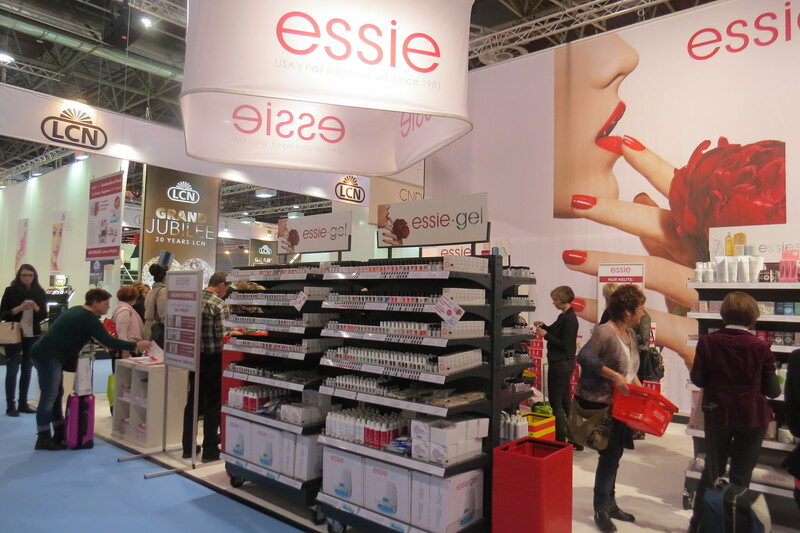 ), and the fourth hall was dedicated to nail art and nail care. 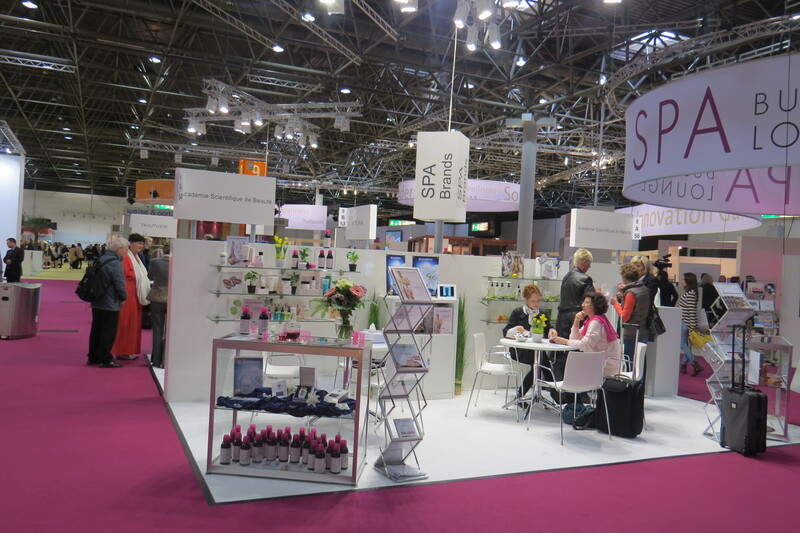 Over the last decade the German spa industry has become better organized and more professional, and this is reflected in the increasingly impressive spa and wellness displays at Beauty International. This year they had a particularly interesting installation, Future Spa. 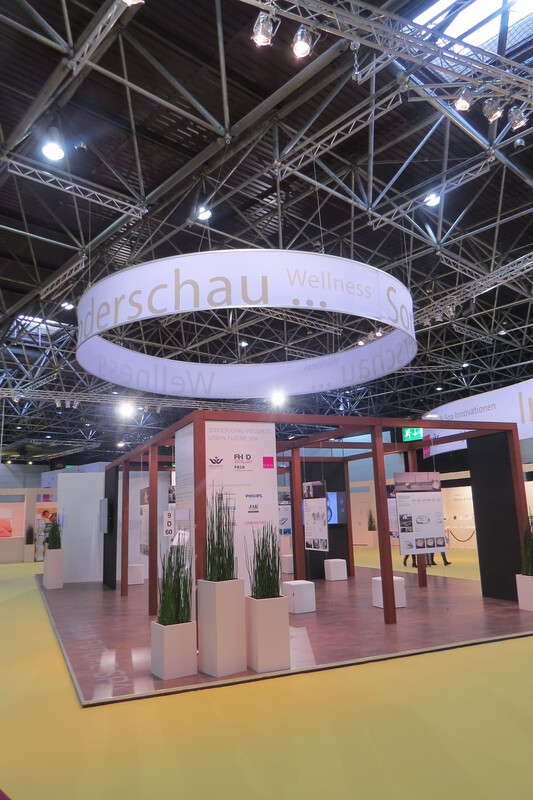 Trade association Deutscher Wellnessverband and show organizers Messe Düsseldorf had asked students of the Peter Behren School of Architecture at the University of Düsseldorf to come up with their ideas for the “spa of the future”. The students were given a list of five current spa trends as guidelines for their designs. These trends include “nature and authenticity” (in building materials, spa furnishings and treatment types), “lounging and chilling” – spas are becoming living area rather than places for a just a short wellness treatment – “lifestyle orientation” (besides beauty treatments, spas are increasingly offering strategies for self-optimization, for example business/life/wellness coaching or meditation), “spa for everyone” (low budget and modular spa concepts) and “WeSpa” – spas as a place to socialize. In addition, there is an increasingly important demographic – the much-touted “Generation Y” or “GYPSYs” (GenY Protagonists & Special Yuppies) – which, apparently, are a prime target audience for novel spa concepts. 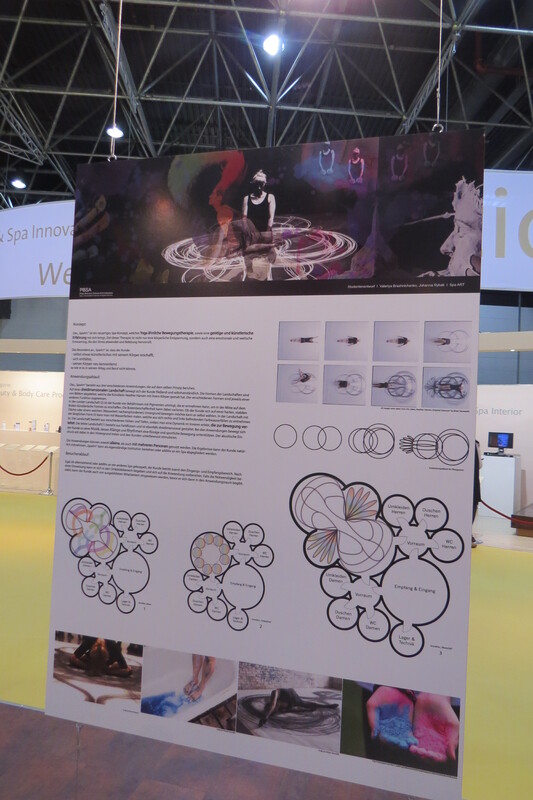 Other than these guidelines, the students had free rein – and they came up with some really cool, innovative and imaginative spa concepts which were presented in the Future Spa exhibition. 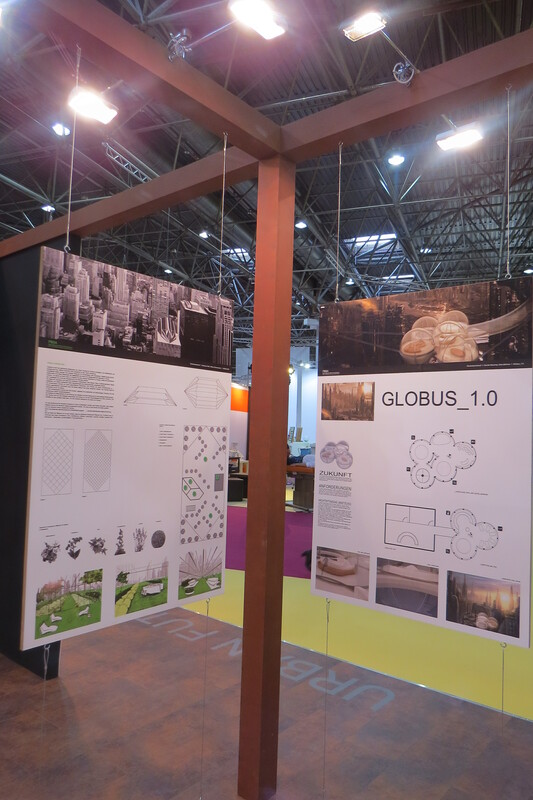 My favourites included “Globus 1.0”, a series of glass globes suspended over the crowded city, and the modular “Spa Kapsel” (spa capsule) which can be quickly erected anywhere – on a shopping street, in a train station, at the airport. The capsule features an automatic massage bed, an integrated juice bar, different lighting concepts and a digital flatscreen, all of which can be operated by the occupant by means of a tablet. A similar concept is the “Wellnetizer 3000” which was inspired by the concept of car-sharing. A smartphone app allows you to locate the spa capsule closest to you, thus offering maximal flexibility in selecting when and where you want to have your spa treatment. The spa capsules offer automated massage treatments but also include an augmented reality option for an extra boost of relaxation. In the same vein was “Snap” which was developed for companies who want to offer their employees the opportunity for power naps at the work place. Again, these are compact modules (3 sq m) which can be booked online or through Intranet. The employer allocates each employee a certain time contingent, but of course employees can also pay themselves for additional module time. Other interesting concepts were “historical spa” – spas located in old buildings, listed properties or industrial monuments – and Urban Garden Spa (inspired by typical urban gardening locations such as rooftops), both of which offer great possibilities for off-beat and individualistic spa designs, treatment concepts and spa positioning. 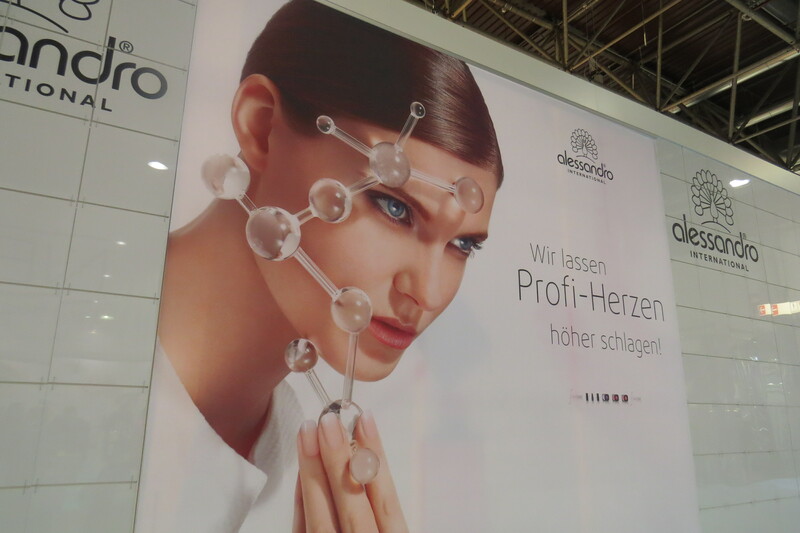 As always, visiting the exhibition stands of the big salon manufacturers was interesting – the opportunity to see Alessandro International’s entire product portfolio – both consumer and professional ranges – all in one space is not to be missed! 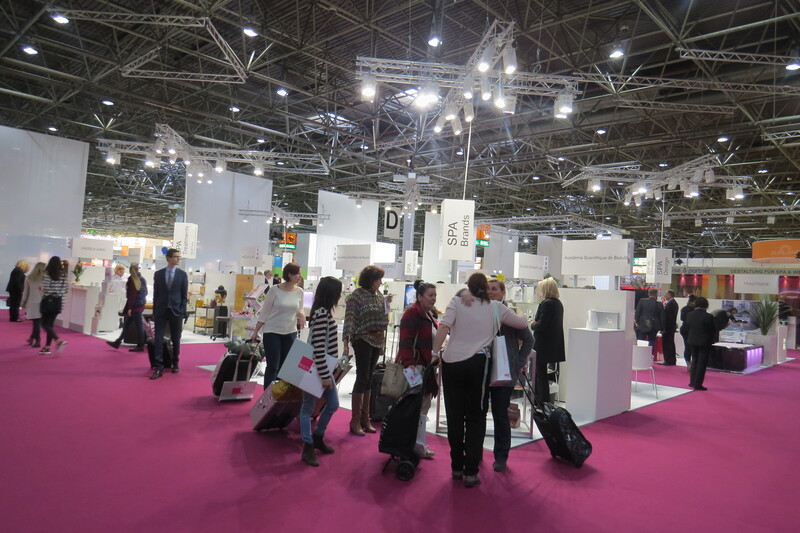 However, what I like about trade shows is the chance to discover new brands and niche exhibitors. 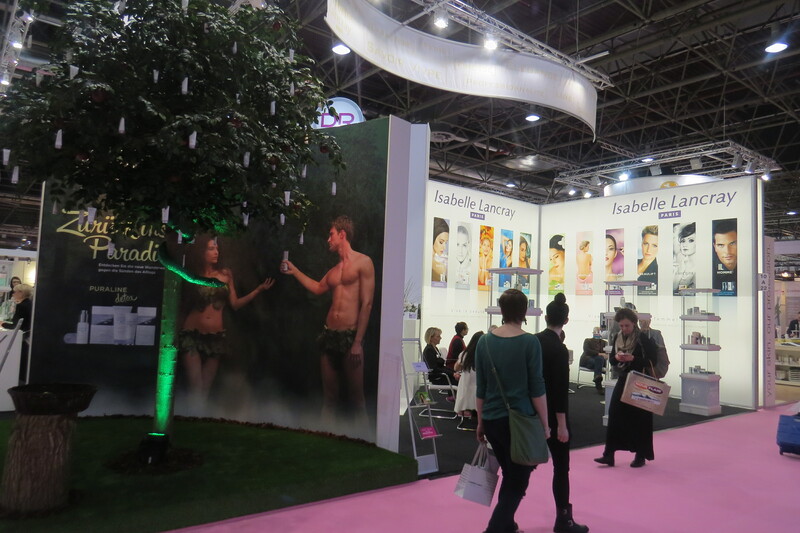 And these days, Beauty International has some very interesting exhibitors indeed. Here are some of my favourites from this year’s show. 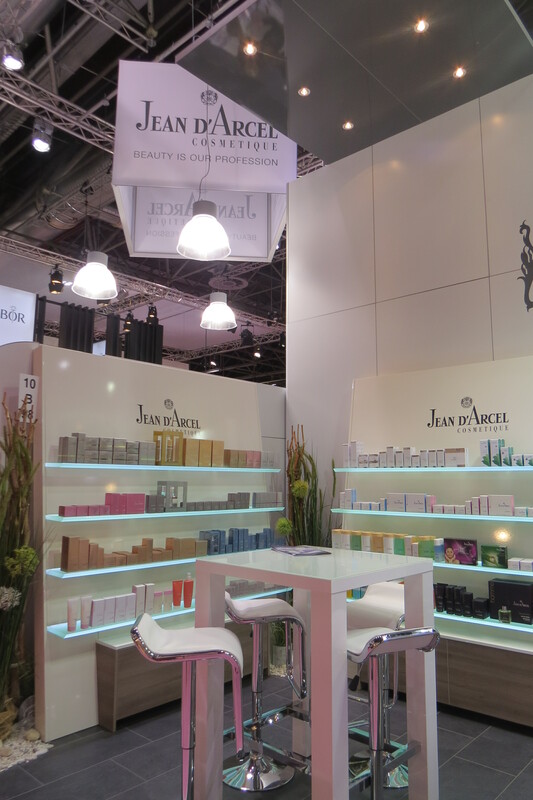 Organic French niche tea brand Løv – over in the spa section – was at Beauty International for the first time. I’d first met Løv, the sister brand of premium label Kusmi Tea at Biofach 2013, and I really like their teas and the elegant packaging design of their tea tins. At Beauty Løv presented its two most recent tea blends, Rose & Linden Flower and Fennel & Anise. Both Kusmi Tea and Løv are currently pushing their expansion in Germany and especially in Berlin – Løv opened its German flagship in Berlin’s Münzstrasse a couple of years ago and Kusmi Tea has opened boutiques in several of Berlin’s new malls, including Bikini Berlin (check out my article on Bikini here) and Mall of Berlin. Another brand that I knew only by name was Neom from the UK. In Germany Neom is best-known for its gorgeous scented candles. 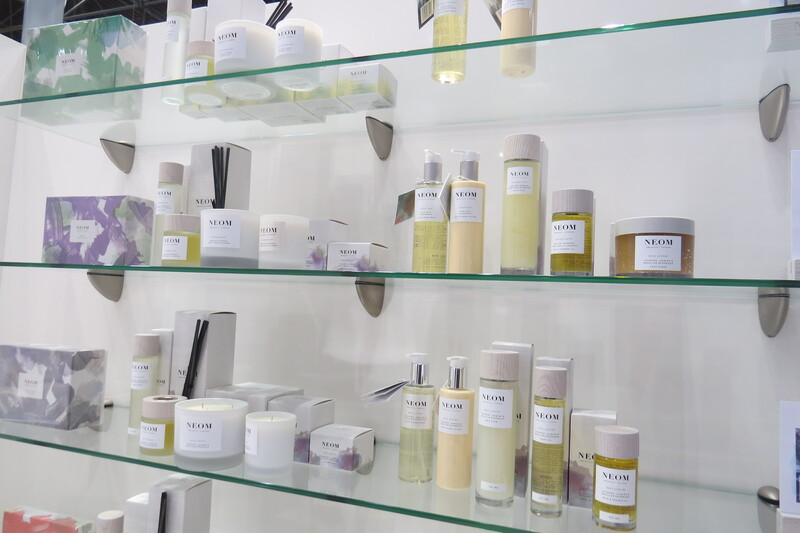 The brand’s distribution is fairly selective, in Berlin, for example, there are only a few Neom retailers including Saint Charles Pharmacy in Berlin’s Wilmersdorf neighbourhood (read my store profile of Saint Charles Berlin here). 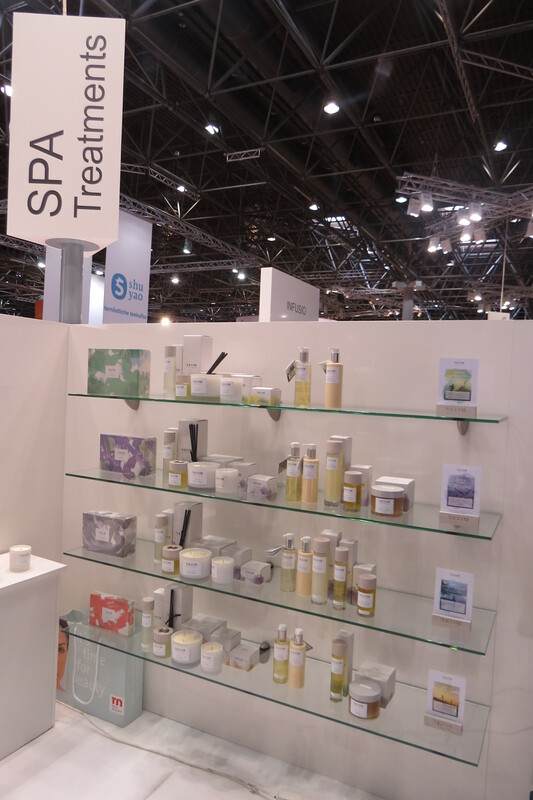 However, at this year’s Beauty International Neom presented four bath and body care ranges which are priced between 16-40 GBP (20-55 Euro). Scent to Sleep is based on soothing and calming essential oils including English lavender, sweet basil and jasmine. Scent to Instantly De-Stress features relaxing oils including lavender, jasmine and Brazilian rosewood whilst Scent to Boost Your Energy is formulated with invigorating zesty notes such as grapefruit, lemon and rosemary. Finally, Scent To Make You Happy combines uplifting wild mint and mandarine. There are also four new spa treatments to go with these product ranges. 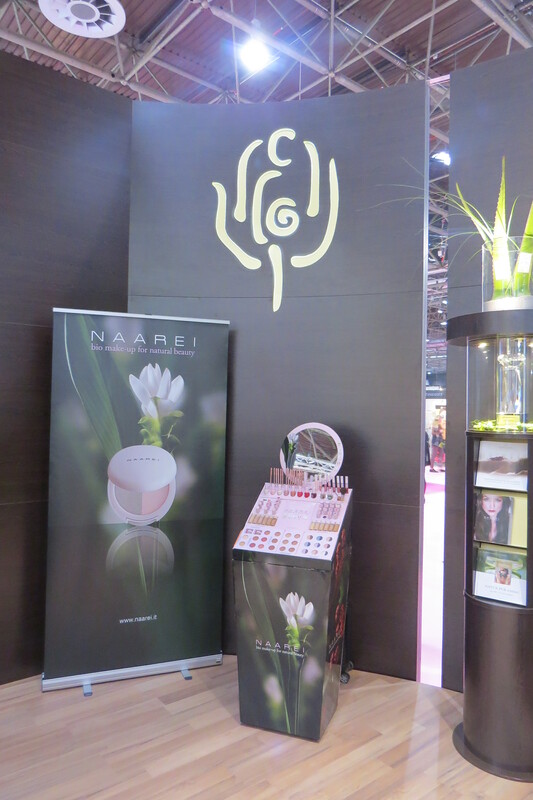 Over in the salon exhibition area I came across another interesting organic brand: colour cosmetics label Naarei (Laboratori Royal) from Italy. At the moment the products are only available online but its German distributor, Pharmos Natur Green Luxury, says that they are hoping to extend Naarei’s German distribution in the near future. The majority of Naarei’s products carry the Cosmos Organic certification. The exception are the kohl liners (Cosmos Natural) and nail polishes (non-certified). The range comprises a concealer, several liquid foundations and a compact foundation, loose and compact powders, compact bronzer and blushers, kohl pencils, powder eyeshadows, liquid eyeliners, lip liners, mascaras, two different lipstick ranges – matte and glossy – lip glosses, nail polishes and a selection of brushes and applicators. Very nice-looking products. 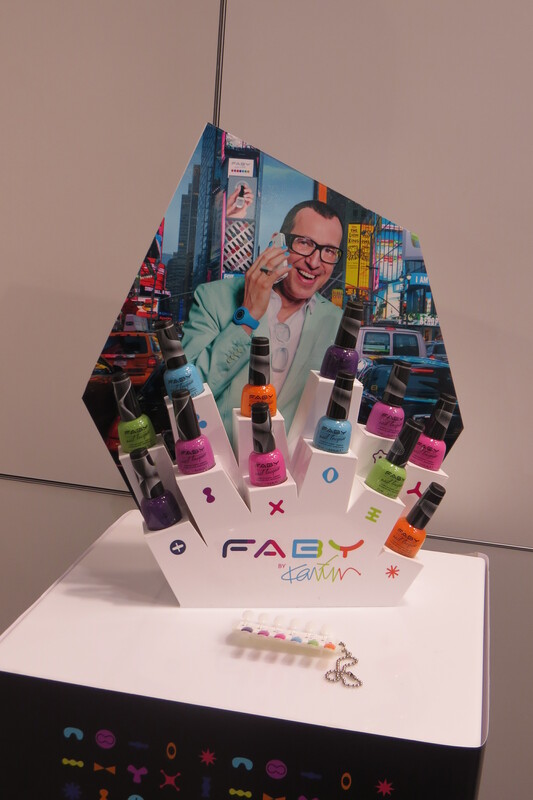 Another brand that I’d only read about was Faby, a nail polish brand launched two years ago by Italian company Faby Line who also developed O.P.I nail polish (before O.P.I was acquired by Coty). 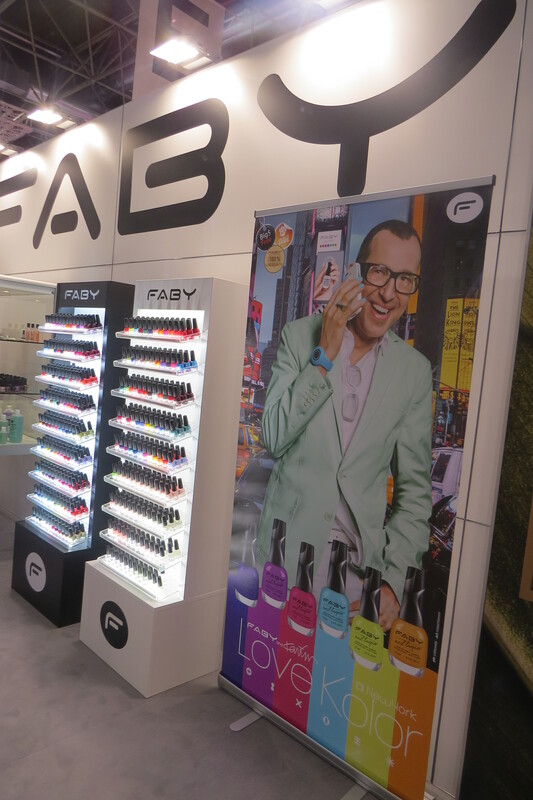 Faby’s first international market was Germany and today the brand is available in 40 countries worldwide. Faby offers some 200 different colour polishes in four different finishes (cream, mother-of-pearl, matte and shimmer) and they have launched some great trend editions – the Man collection, for example, six subdued colours (dark blue, slate grey, matte purple, grey green, oxblood and matte gold) or the Karim collection Love Kolor, six vibrant colours developed by designer Karim Rashid. 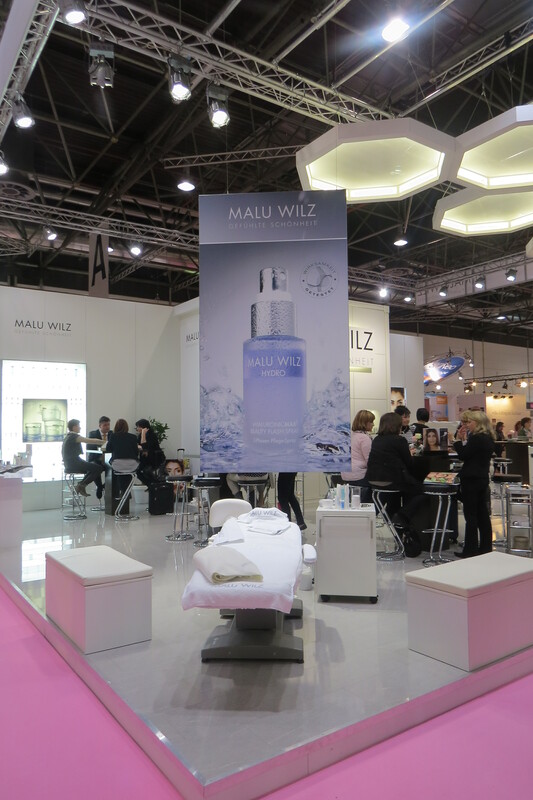 In May 2015, the brand will launch Faby M, a new spa hand and foot care range. On the whole, yet another very worthwhile Beauty International visit! 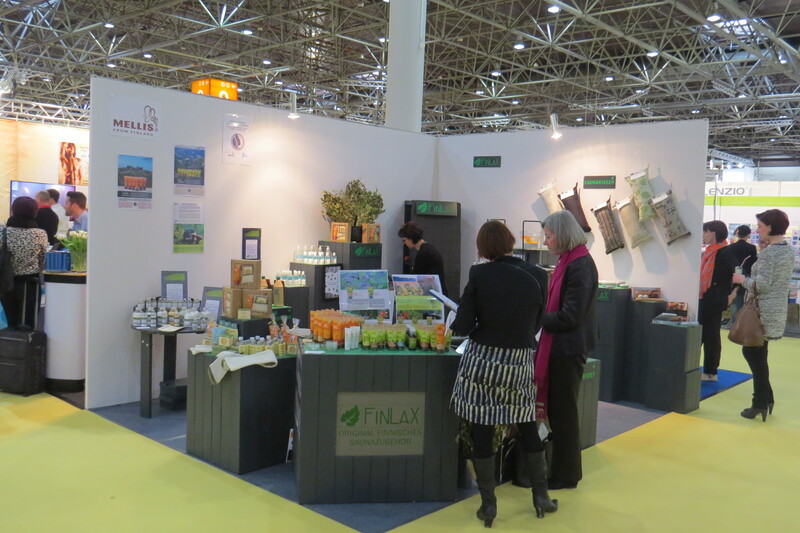 The next trade show will take place from 4th to 6th March 2016.